Follow All Instructions & Complete All Required Fields. Complete Canine Training is an Equal Opportunity Employer. We are committed to equal treatment of all employees without regard to race, national origin, religion, gender, age, sexual orientation, veteran status, physical or mental disability or other basis protected by law. List the last 3 employers you have worked for along with phone numbers and dates you were employed. 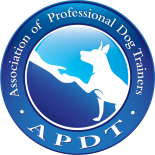 Provide a short but detailed description of your experience working with dogs in any capacity.